Cinderella and her lesser-known twin, Tinderella, split everything right down the middle. They each do half the housework, half the mending, and half the mean step-sister tending. When the Prince throws a ball, their fairy godmother sends them both, and they dance the night away with the prince. But he simply can't choose between Cin and Tin, and they are in need of some clever thinking and just a pinch of magic. The Prince agrees to share his kingdom half and half, and the fairy-godmother makes him a twin too, so they can all live happily ever after. Cin and the Prince rule the kingdom, while Tin and the Twin win all the kingdom's math competitions. It truly is a happily ever half-ter. 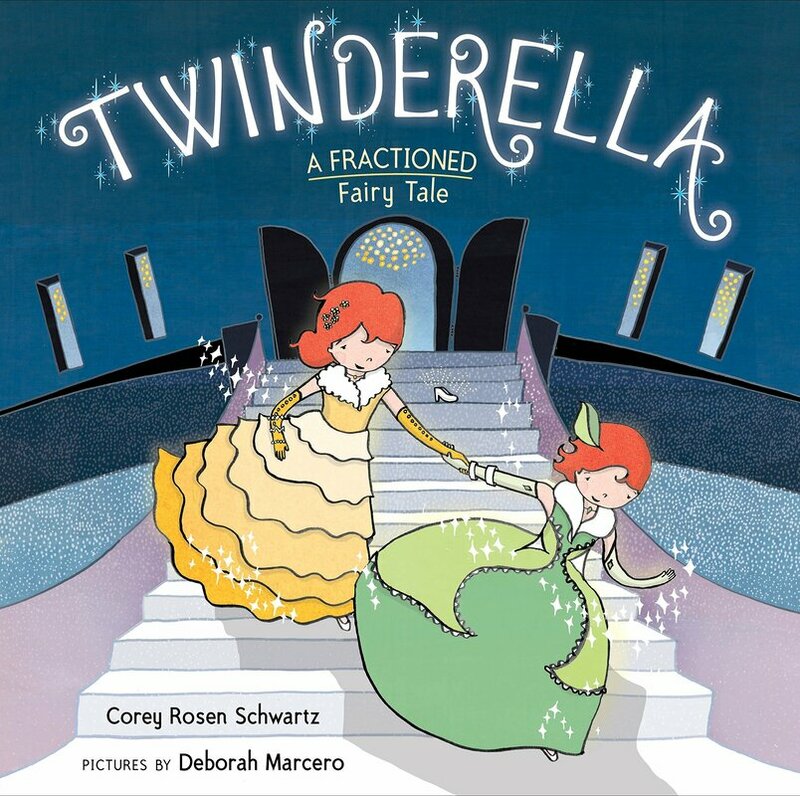 Corey Rosen Schwartz’s ‘Twinderella’ (2017) takes a mathematical twist to the much-loved Cinderella story. Here, we are introduced to Cinderella’s twin, Tinderella. Both Cin and Tin (as they are known in the story) split their day-to-day chores in half, and equally share what they have. And, of course, there’s the prince, the one prince. Now, with both Cin and Tin in the picture, how will this story end? The story does a good job in demonstrating to very young children what splitting or sharing things equally might look like in everyday lives. Corey is very creative in injecting mathematical thinking in a well-known classic and a favourite to many children. A large-sized poster displaying the front cover image of the book can be found at the back of the book. The back of the poster has some activities involving 1/2, 1/3, 1/4 and 1/5 e.g. colouring half of an image, etc. All in all, ‘Twinderella’ is a useful story to introduce the concept of halving to children aged 5+ years old.